“Yes to redefining virtuosity; Yes to conceptualizing experience, affects, sensation; Yes to materiality/body practice; Yes to investment of performer and spectator,” writes choreographer Mette Ingvartsen in the ‘YES MANIFESTO’, a response to legendary Judson Dance Theater choreographer Yvonne Rainer’s ‘NO MANIFESTO’, which condemns virtuosity and spectacularity. Ingvartsen, however, has been focusing on nuances that could arise from the spectacular and researching the possibilities of what is about to happen when the spectator’s vision is amplified. 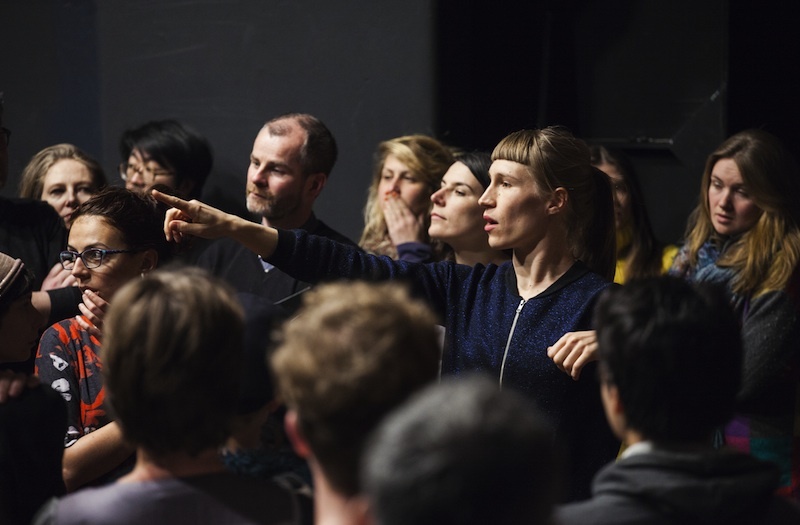 Recently, Berlin’s Hebbel am Ufer (HAU) hosted a retrospective of Mette Ingvartsen’s oeuvre under the title ‘The Artificial Nature Series’, in which the choreographer played with materiality on stage by inventing artificial landscapes. Despite the years spent in choreographer Anne Theresa de Kearsmaeker’s dance school P.A.R.T.S.—famous for its conventional dance education that is extremely physical—Ingvartsen removes the body of the dancer from the stage and shifts the hierarchy between the body and the objects in dance. The artist creates a choreography with various materials; rather than watching bodies dancing, we experience a storytelling session, such as in ‘Speculations’ (2011), or, say, watch the flow of melting iceberg-like structures made out of foam in the piece ‘evaporated landscapes’ (2009). “People call it an installation, whereas to me, it’s a choreography”, said the choreographer of ‘evaporated landscapes’, during the artist talk ‘Thing | Dark | Speculation | Word : a conversation with Mette Ingvartsen’s works’, including renowned dance theorist André Lepecki and moderated by scholar Bettina Knaup. In Ingvartsen’s first piece, wherein the artist started to work with the flow of materials instead of bodies, the audience witnesses the unhurried change of state of the ice blocks, containing light inside. 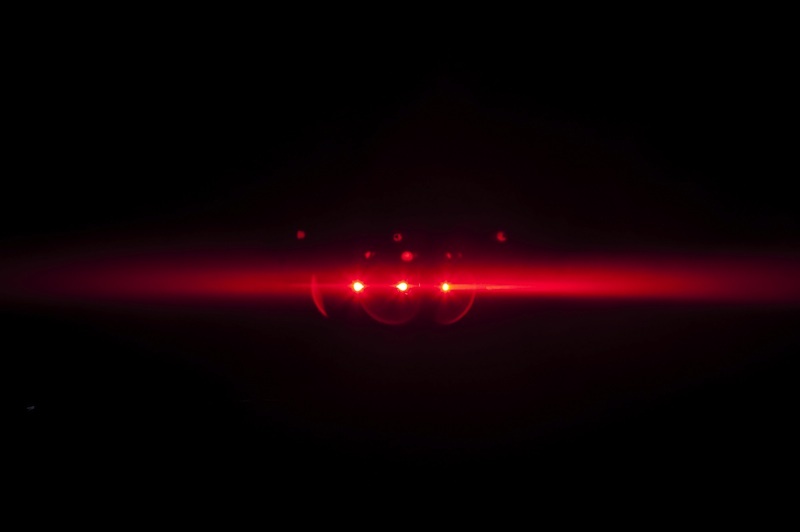 Using simple techniques with the help of spotlights, soap bubble machines and steam machines—all hues of blue, red, orange, and pink inducing the alteration of the objects (or things)—Ingvartsen generates a man-made landscape, in which sound tags along to create an other-worldly atmosphere. Steam passing through the mountains recalls a river or fog; soap bubbles slowly transform into the rain, lightning bugs or embers from a fireplace. However, the use of mimetic sounds decreases the effect of the images and pulls us back to the Earth from this fantasy land, instead of offering a possible high without any substance. At the beginning of ‘Speculations’, a story of overlapping images, Ingvartsen welcomes us at the door of the stage and directs us: “I would like that you stay standing.” Ingvartsen is precise about the choreography of the spectator’s entry. The performance starts with a depiction of a gallery space, where a performance of Yves Klein’s is taking place in another temporality. Accordingly, we are directed to sit and the choreographer continues with a hand gesture, supposedly to gesticulate the sound of rain, while the light slowly dims dark. At this point, the story begins to metamorphose from performance to a landscape described with words. Soon, the image turns into an illustration of the explosion scene from Michelangelo Antonioni’s ‘Zabriskie Point’ (1970). Now, we’re back in brightness. According to Ingvartsen, as a result of the slow motion shot of the swirling refrigerator pieces and clothes, the objects lose their predetermined functions and become things. 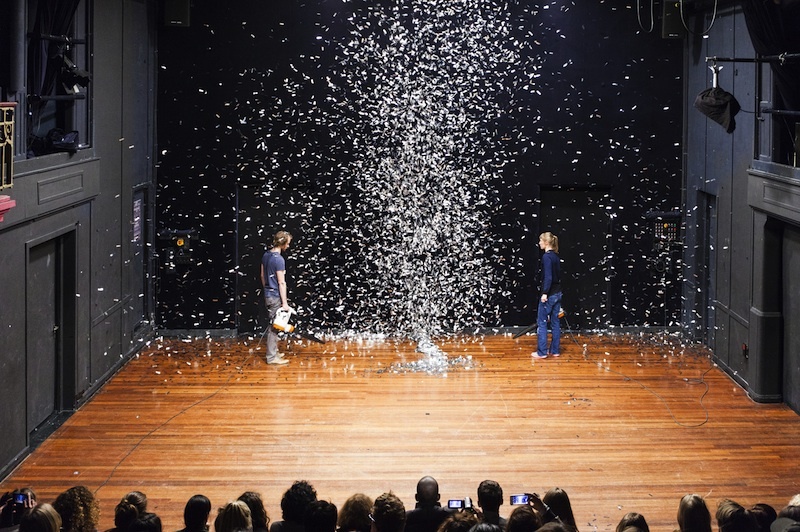 In the end, a box of the tiny-cut, shiny material—the protagonist of another performance in ‘The Artificial Nature Project’ (also shown in the retrospective)—is brought to the middle of the stage and blown with the help of a machine. The glittery material whirling in the air creates the aforementioned rain-sound and can be perceived as altering landscapes. In both pieces, the darkness grabs you in: the moments spent in this scary, yet full of potential entity, heighten the images in the story or bring you back to your presence. As a result of this radical state, a vigorous temporal shift is felt. Without any doubt, the influence of visual arts is crystal clear. As Ingvartsen mentioned during the talk with Lepecki, visual arts don’t enter theater easily, whereas the white cube keeps inviting dance with utmost enthusiasm. Considering that Mette Ingvartsen will be in the team of the highly criticised and speculated new structure of Volksbühne, it’s fair to wonder how the visual arts might join the black box, through Ingvartsen’s fantasy world.